ON TOUR: Reggae-pop icon Maxi Priest is back with a groovy new jam, "Easy To Love," slated for digital release via VP Records on July 16. Produced by well-known hitmaker Colin 'Bulby' York, the track will appear on the veteran crooner's upcoming studio album, out later this year. 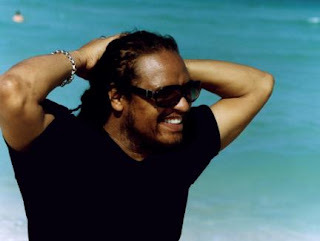 Meantime, fans can catch Maxi Priest in concert when he headlines a US tour, running summer through fall. Stops will include the July 13 opener in Chicago, an August 6 performance at the famed B.B. King's in New York and a show at the Hollywood Park Casino in Los Angeles on October 13. >> Watch the video for "Easy to Love" HERE. ON DVD: To coincide with the 40th anniversary of its North-American debut, the classic Jamaican motion picture The Harder They Come will be re-released in the United States on September 5. Distributors Synctd Entertainment and International Films Management will be handling the re-release. The film, which made a star out of Jimmy Cliff, had its official debut in 1972, but didn't arrive in the States until the following year. >> Copies of the new disc (with additional merchandise) can be pre-ordered at jimmycliff.com. ON TV: Ity & Fancy Cat (and the Ellis International crew) brought outrageous antics and laugh-out-loud hilarious sketch comedy routines to Jamaican living rooms with the past few seasons of their hit TV show. Prepare for more: the duo will debut the brand new season of the Ity & Fancy Cat Show on TV J this Sunday, July 14. Tune in.